Walking, Hiking, Trekking and Nordic poles made from lightweight aluminium and carbon fibre with anti-shock technology. Great for high and low level hiking, outdoor treks. Huge brands Leki, Craghoppers, Black Diamond, Outdoor Research, Trekmates. UK delivery and cheap prices. Lightweight fixed-length Nordic walking poles from Leki. 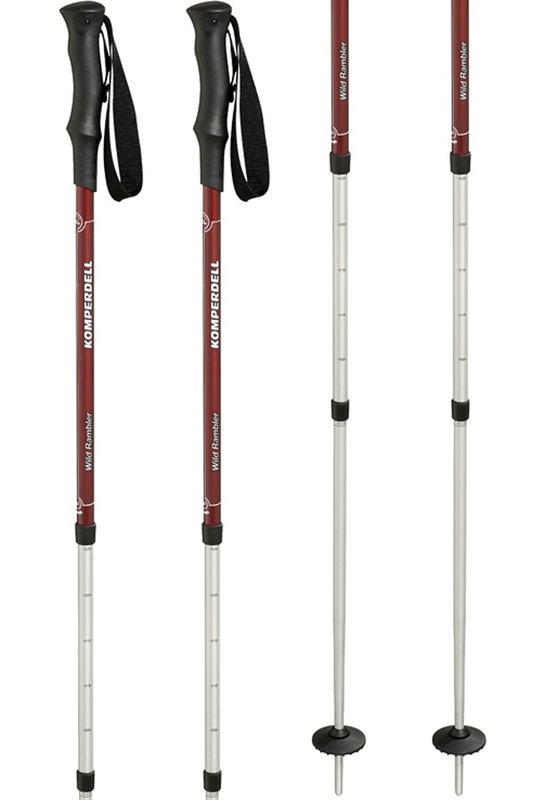 3-section adjustable trekking poles with Komperdell twist-lock. A great value, sporty Nordic walking pole for all terrain use. Highly versatile, packable and durable trekking pole made by Black Diamond. The Alpine Carbon Cork trekking poles champion a lightweight and comfortable design, perfected for challenging alpine terrain and muddy forest trails. Lightweight and super compact carbon trekking poles with Power Lock 3.0 for secure adjustment. Lightweight 2-section adjustable trekking poles with Komperdell Powerlock 2.1 for reliable hold. The Trail Trekking Poles, women's specific design: 4 season walking and trekking poles, ideal for all kinds of terrain, from Black Diamond. Lightweight & hard-wearing carbon & aluminium trekking pole from Leki. Lightweight adjustable trekking poles with twist lock & anti-shock impact dampening system. Kids' adjustable trekking and ski pole - great value and functionality for 4-season adventures. Hugely versatile adjustable pole for any terrain from summer trails to backcountry ski tours. Reliable & hard-wearing trekking pole with antishock for impact reduction. Reliable & tough telescopic trekking pole for all-around hiking & trekking. Black Diamond's lightweight, women specific trekking poles with an ergonomically angled grip for comfort on every trekking adventure. Lightweight and adjustable, 3-section trekking poles with innovative Knee Lock folding system. Ultralight Carbon trekking pole with a whole load of tech from Black Diamond. Lightweight and ultra compact aluminium trekking poles with Power Lock 3.0 for secure adjustment. Light, comfort grip trekking pole with antishock for impact reduction. Compact trail running pole with ultralight carbon shaft for fast-moving outdoor activities. Leki's super strong adjustable trekking pole with versatile Thermo Long Grip. Versatile pole designed for everyday use from trail running to hiking and backpacking. The Distance Z is Black Diamond's most affordable folding Z-trekking pole. Classic Leki telescopic trekking pole for all-around hiking & trekking. Folding Multi use Nordic walking poles from Leki. Folding, fixed-length trail running poles with ultralight carbon design. 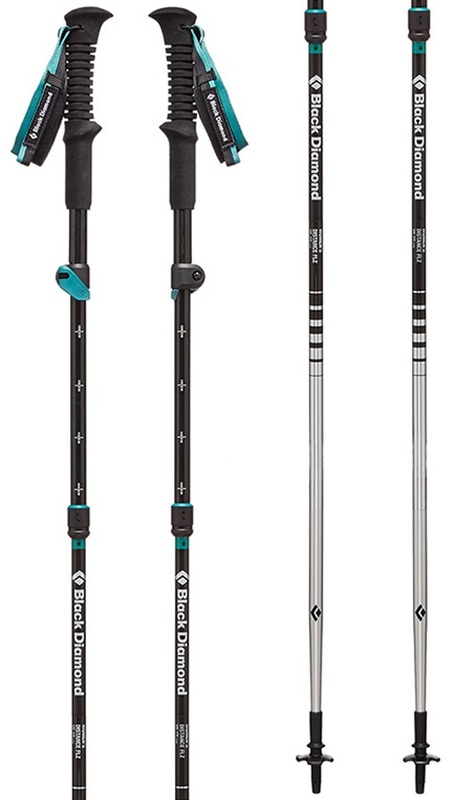 3-section adjustable trail trekking pole from Black Diamond. The Trail Pro adjustable trekking pole from Black Diamond offers reliability, stability, and complete versatility. The Trail Pro Shock Trekking Poles: Black Diamonds adjustable light weight trekking poles with built in shock absorbing technology. Lightweight, 2-section adjustable walking pole with Komperdell Powerlock 2.0 for reliable hold.